The Lissi display unit can easily become the attractive centre piece of your office. It’s unique, disjointed design leaves you with plenty of space to display items, making it both practical, and extremely good looking. 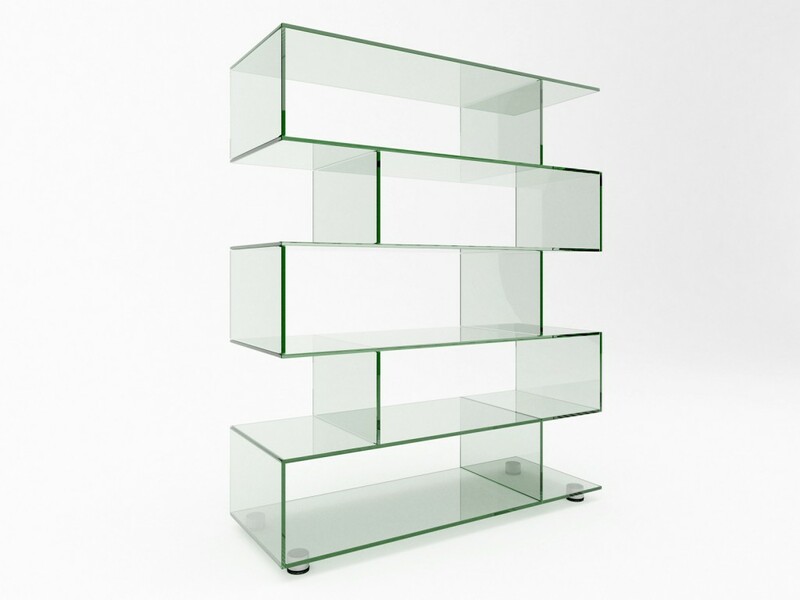 Why just stick some shelves up on your wall, when you can have a piece of the finest handmade glass furniture, with a special 21st century design? With five rows of shelves for you to use, the unit can leave you more organised with a better working environment. Made with 12mm of clear toughened glass to the dimensions of 1192mm x 360mm x 1525mm, the Lissi display unit might be exactly what you’re missing in your work space. As with all of our products, the Lissi display unit can be made to any size you need, as part of our bespoke design service, which you can find out more about here.